4151801 WR8-1 KOMATSU WR8-1 Wheel Loader WR 8 series. Spare Parts Catalog. Service (workshop) Manual. Operator's Instruction Manual. 4151803 WU10S-1 KOMATSU WU10S-1 Wheel Loader WS 10 series. Spare Parts Catalog. Service (workshop) Manual. Operator's Instruction Manual. 4151804 WA10-1 KOMATSU WA10-1 Wheel Loader WA 10 series. Spare Parts Catalog. Service (workshop) Manual. Operator's Instruction Manual. 4151805 WA10-6 KOMATSU WA10-6 Wheel Loader WA 10 series. Spare Parts Catalog. Service (workshop) Manual. Operator's Instruction Manual. 4151807 WR11-1 KOMATSU WR11-1 Wheel Loader WR 11 series. Spare Parts Catalog. Service (workshop) Manual. Operator's Instruction Manual. 4151808 WR11-3 KOMATSU WR11-3 Wheel Loader WR 11 series. Spare Parts Catalog. Service (workshop) Manual. Operator's Instruction Manual. 4151810 WR12-5 KOMATSU WR12-5 Wheel Loader WR 12 series. Spare Parts Catalog. Service (workshop) Manual. Operator's Instruction Manual. 4151811 WR12-6 KOMATSU WR12-6 Wheel Loader WR 12 series. Spare Parts Catalog. Service (workshop) Manual. Operator's Instruction Manual. 4151813 W20-1 KOMATSU W20-1 Wheel Loader W 20 series. Spare Parts Catalog. Service (workshop) Manual. Operator's Instruction Manual. 4151814 WA20-1 KOMATSU WA20-1 Wheel Loader WA 20 series. Spare Parts Catalog. Service (workshop) Manual. Operator's Instruction Manual. 4151815 WA20-2 KOMATSU WA20-2 Wheel Loader WA 20 series. Spare Parts Catalog. Service (workshop) Manual. Operator's Instruction Manual. 4151816 WA20-6 KOMATSU WA20-6 Wheel Loader WA 20 series. Spare Parts Catalog. Service (workshop) Manual. Operator's Instruction Manual. 4151818 W30-1 KOMATSU W30-1 Wheel Loader W 30 series. Spare Parts Catalog. Service (workshop) Manual. Operator's Instruction Manual. 4151819 WU30B-3 KOMATSU WU30B-3 Wheel Loader WU 30 series. Spare Parts Catalog. Service (workshop) Manual. Operator's Instruction Manual. 4151820 WA30-1 KOMATSU WA30-1 Wheel Loader WA 30 series. Spare Parts Catalog. Service (workshop) Manual. Operator's Instruction Manual. 4151821 WA30-2 KOMATSU WA30-2 Wheel Loader WA 30 series. Spare Parts Catalog. Service (workshop) Manual. Operator's Instruction Manual. 4151822 WA30-3 KOMATSU WA30-3 Wheel Loader WA 30 series. Spare Parts Catalog. Service (workshop) Manual. Operator's Instruction Manual. 4151823 WA30-5 KOMATSU WA30-5 Wheel Loader WA 30 series. Spare Parts Catalog. Service (workshop) Manual. Operator's Instruction Manual. 4151824 WA30-5-CB KOMATSU WA30-5-CB Wheel Loader WA 30 series. Spare Parts Catalog. Service (workshop) Manual. Operator's Instruction Manual. 4151825 WA30-6 KOMATSU WA30-6 Wheel Loader WA 30 series. Spare Parts Catalog. Service (workshop) Manual. Operator's Instruction Manual. 4151827 W40-1 KOMATSU W40-1 Wheel Loader W 40 series. Spare Parts Catalog. Service (workshop) Manual. Operator's Instruction Manual. 4151828 WA40-1 KOMATSU WA40-1 Wheel Loader WA 40 series. Spare Parts Catalog. Service (workshop) Manual. Operator's Instruction Manual. 4151829 WA40-3 KOMATSU WA40-3 Wheel Loader WA 40 series. Spare Parts Catalog. Service (workshop) Manual. Operator's Instruction Manual. 4151830 WA40-6 KOMATSU WA40-6 Wheel Loader WA 40 series. Spare Parts Catalog. Service (workshop) Manual. Operator's Instruction Manual. 4151832 WA50-1 KOMATSU WA50-1 Wheel Loader WA 50 series. Spare Parts Catalog. Service (workshop) Manual. Operator's Instruction Manual. 4151833 WA50-3 KOMATSU WA50-3 Wheel Loader WA 50 series. Spare Parts Catalog. Service (workshop) Manual. Operator's Instruction Manual. 4151834 WA50-6 KOMATSU WA50-6 Wheel Loader WA 50 series. Spare Parts Catalog. Service (workshop) Manual. Operator's Instruction Manual. 4151836 WA60-1 KOMATSU WA60-1 Wheel Loader WA 60 series. Spare Parts Catalog. Service (workshop) Manual. Operator's Instruction Manual. 4151838 WA65-3 KOMATSU WA65-3 Wheel Loader WA 65 series. Spare Parts Catalog. Service (workshop) Manual. Operator's Instruction Manual. 4151839 WA65-5 KOMATSU WA65-5 Wheel Loader WA 65 series. Spare Parts Catalog. Service (workshop) Manual. Operator's Instruction Manual. 4151840 WA65-6 KOMATSU WA65-6 Wheel Loader WA 65 series. Spare Parts Catalog. Service (workshop) Manual. Operator's Instruction Manual. 4151842 WA70-1 KOMATSU WA70-1 Wheel Loader WA 70 series. Spare Parts Catalog. Service (workshop) Manual. Operator's Instruction Manual. 4151843 WA70-5 KOMATSU WA70-5 Wheel Loader WA 70 series. Spare Parts Catalog. Service (workshop) Manual. Operator's Instruction Manual. 4151844 WA70-6 KOMATSU WA70-6 Wheel Loader WA 70 series. Spare Parts Catalog. Service (workshop) Manual. Operator's Instruction Manual. 4151846 WA75-1 KOMATSU WA75-1 Wheel Loader WA 75 series. Spare Parts Catalog. Service (workshop) Manual. Operator's Instruction Manual. 4151847 WA75-3 KOMATSU WA75-3 Wheel Loader WA 75 series. Spare Parts Catalog. Service (workshop) Manual. Operator's Instruction Manual. 4151849 WA80-3 KOMATSU WA80-3 Wheel Loader WA 80 series. Spare Parts Catalog. Service (workshop) Manual. Operator's Instruction Manual. 4151850 WA80-5 KOMATSU WA80-5 Wheel Loader WA 80 series. Spare Parts Catalog. Service (workshop) Manual. Operator's Instruction Manual. 4151851 WA80-6 KOMATSU WA80-6 Wheel Loader WA 80 series. Spare Parts Catalog. Service (workshop) Manual. Operator's Instruction Manual. 4151853 WA85-3 KOMATSU WA85-3 Wheel Loader WA 85 series. Spare Parts Catalog. Service (workshop) Manual. Operator's Instruction Manual. 4151855 W90-2 KOMATSU W90-2 Wheel Loader W 90 series. Spare Parts Catalog. Service (workshop) Manual. Operator's Instruction Manual. 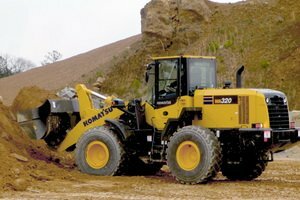 4151856 W90-3 KOMATSU W90-3 Wheel Loader W 90 series. Spare Parts Catalog. Service (workshop) Manual. Operator's Instruction Manual. 4151857 WA90-1 KOMATSU WA90-1 Wheel Loader WA 90 series. Spare Parts Catalog. Service (workshop) Manual. Operator's Instruction Manual. 4151858 WA90-3 KOMATSU WA90-3 Wheel Loader WA 90 series. Spare Parts Catalog. Service (workshop) Manual. Operator's Instruction Manual. 4151859 WA90-5 KOMATSU WA90-5 Wheel Loader WA 90 series. Spare Parts Catalog. Service (workshop) Manual. Operator's Instruction Manual. 4151860 WA90-6 KOMATSU WA90-6 Wheel Loader WA 90 series. Spare Parts Catalog. Service (workshop) Manual. Operator's Instruction Manual. 4151862 WA100-1 KOMATSU WA100-1 Wheel Loader WA 100 series. Spare Parts Catalog. Service (workshop) Manual. Operator's Instruction Manual. 4151863 WA100-3A KOMATSU WA100-3A Wheel Loader WA 100 series. Spare Parts Catalog. Service (workshop) Manual. Operator's Instruction Manual. 4151864 WA100-5 KOMATSU WA100-5 Wheel Loader WA 100 series. Spare Parts Catalog. Service (workshop) Manual. Operator's Instruction Manual. 4151865 WA100-6 KOMATSU WA100-6 Wheel Loader WA 100 series. Spare Parts Catalog. Service (workshop) Manual. Operator's Instruction Manual. 4151866 WA100M-3 KOMATSU WA100M-3 Wheel Loader WA 100 series. Spare Parts Catalog. Service (workshop) Manual. Operator's Instruction Manual. 4151867 WA100M-5 KOMATSU WA100M-5 Wheel Loader WA 100 series. Spare Parts Catalog. Service (workshop) Manual. Operator's Instruction Manual. 4151868 WA100M-6 KOMATSU WA100M-6 Wheel Loader WA 100 series. Spare Parts Catalog. Service (workshop) Manual. Operator's Instruction Manual. 4151870 WA115-3 KOMATSU WA115-3 Wheel Loader WA 115 series. Spare Parts Catalog. Service (workshop) Manual. Operator's Instruction Manual. 4151872 W120-2 KOMATSU W120-2 Wheel Loader W 120 series. Spare Parts Catalog. Service (workshop) Manual. Operator's Instruction Manual. 4151873 W120-3 KOMATSU W120-3 Wheel Loader W 120 series. Spare Parts Catalog. Service (workshop) Manual. Operator's Instruction Manual. 4151874 WA120-1 KOMATSU WA120-1 Wheel Loader WA 120 series. Spare Parts Catalog. Service (workshop) Manual. Operator's Instruction Manual. 4151875 WA120-1LC KOMATSU WA120-1LC Wheel Loader WA 120 series. Spare Parts Catalog. Service (workshop) Manual. Operator's Instruction Manual. 4151876 WA120-3 KOMATSU WA120-3 Wheel Loader WA 120 series. Spare Parts Catalog. Service (workshop) Manual. Operator's Instruction Manual. 4151877 WA120-3CS KOMATSU WA120-3CS Wheel Loader WA 120 series. Spare Parts Catalog. Service (workshop) Manual. Operator's Instruction Manual. 4151878 WA120-3L KOMATSU WA120-3L Wheel Loader WA 120 series. Spare Parts Catalog. Service (workshop) Manual. Operator's Instruction Manual. 4151879 WA120-3MC KOMATSU WA120-3MC Wheel Loader WA 120 series. Spare Parts Catalog. Service (workshop) Manual. Operator's Instruction Manual. 4151880 WA120L-3MC KOMATSU WA120L-3MC Wheel Loader WA 120 series. Spare Parts Catalog. Service (workshop) Manual. Operator's Instruction Manual.